Motivation by and through others alone isn’t sufficient to keep you going because it vanishes when confronted with big unexpected challenges. It may keep you going initially for a few months but doesn’t last very long. So what should you do??? 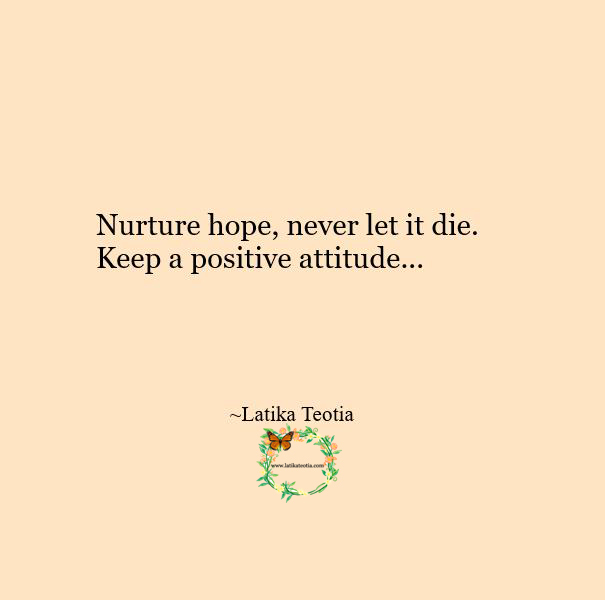 HOPE keeps us going !!! 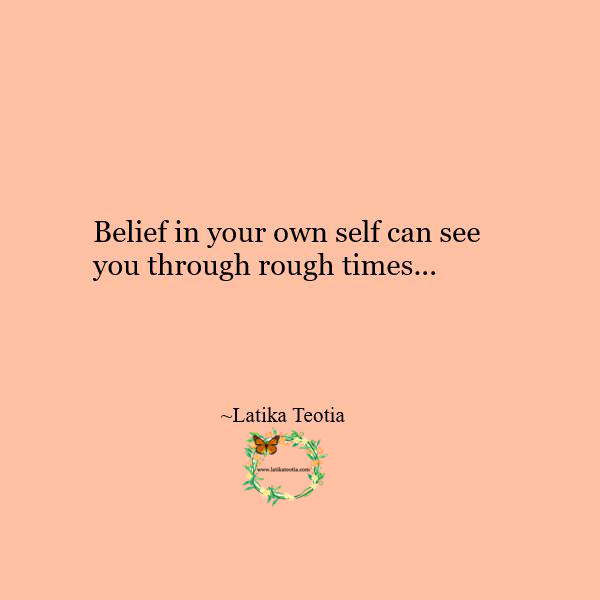 Our inner strength and self belief comes into play when we face rough weather. By nature we are reluctant to move out of our comfort zones but when pushed into a corner we jump up to face what life throws at us. We realise subsequently in hindsight that whatever happened was good and we feel glad that it happened the way it did as well as at the time it did. 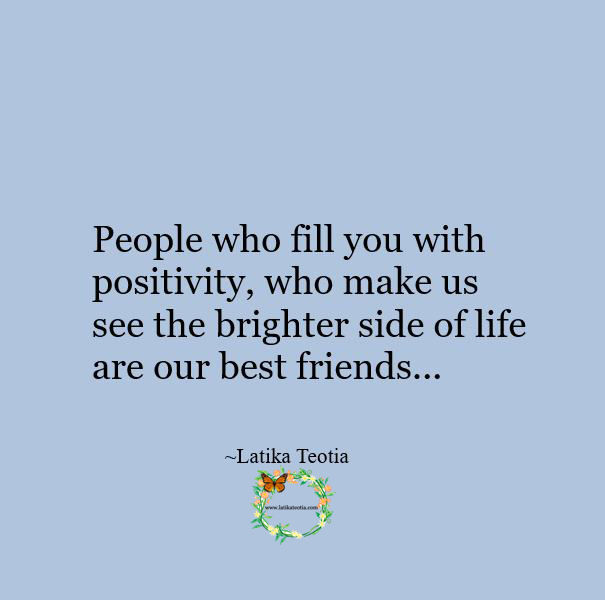 It could be the breakup of a rotten and difficult relationship which we had been unsuccessfully trying to maintain or it could be a job that was giving us endless nightmares and such like situations or circumstances. There are days in our lives when nothing seems to be going right and we get so dejected that we just want to give up. No amount of coaxing, cajoling or self motivation seems to work. Nothing seems to inspire us. It seems that the very air has gone out of our balloon and we sit there deflated, depressed and crestfallen. 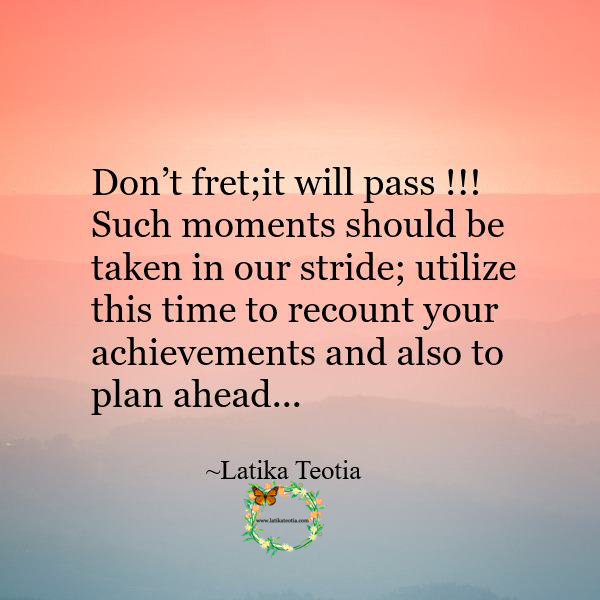 Don’t fret; such things do happen. 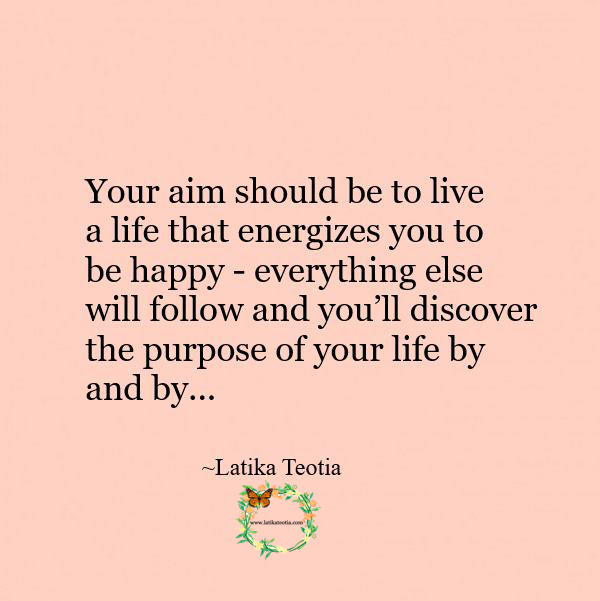 Aim at living a life that makes your soul sing !!! 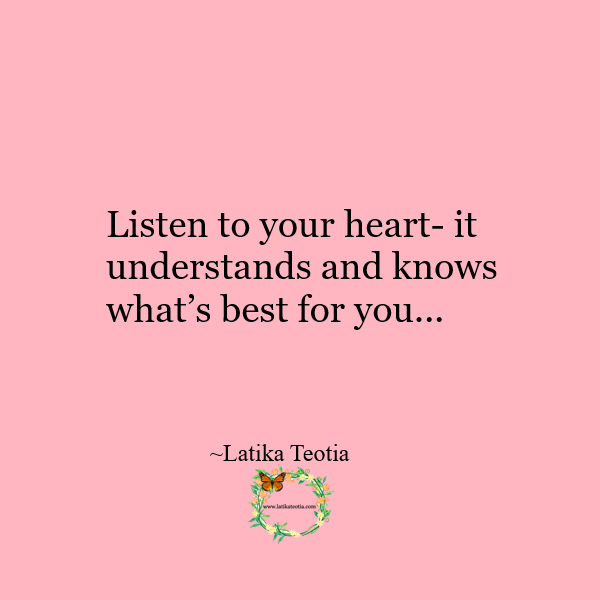 Believe in the wisdom of your heart !!! 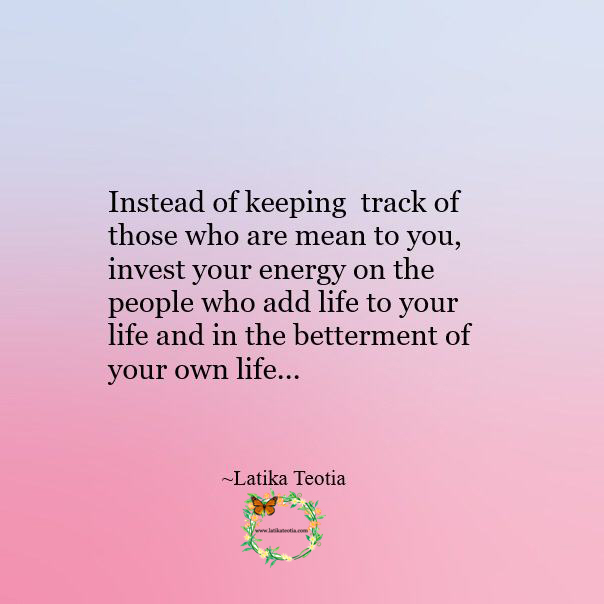 Be your own cheer leader !!! 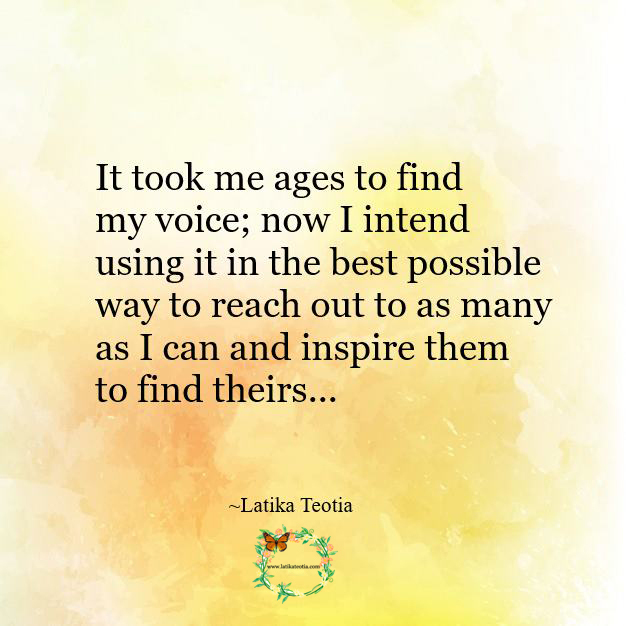 Celebrate your achievements and victories without waiting for recognition from others; after all it’s your efforts which brought that accomplishment. A flower blooms in the desert with nary a person to its beauty, yet it blossoms, spreads its fragrance and enjoys its existence. A dew drop caught on the leaf in an unexplored forest sparkles like a diamond; it doesn’t need spectators to appreciate its beauty. 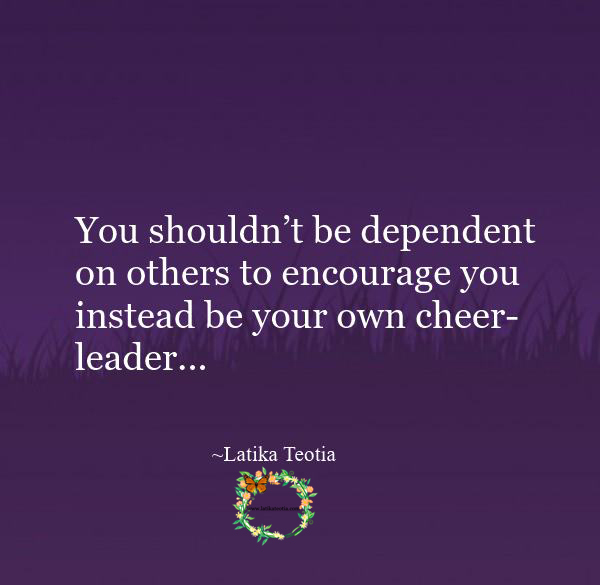 You shouldn’t be dependent on others to encourage you instead be your own cheer leader. Love yourself to bits. Who said that life is fair??? 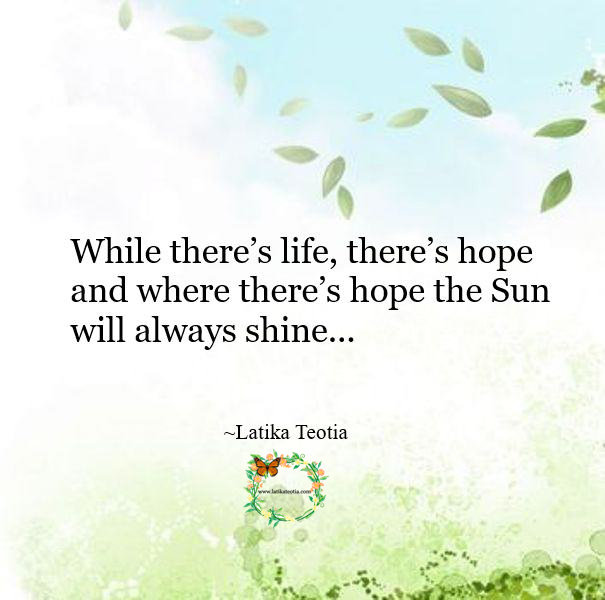 While there’s life, there’s hope and where there’s hope the Sun will always shine. Who said that life is fair? We all have our share of happiness and sorrow, hope and disappointments. At times your life appears to be spiraling out of control; that’s the time you should remain calm. Draw upon your hidden strength and very soon you will be on top of things. Remember order comes out of chaos. Be positive, be hopeful and very soon life will be a song.